A special high-strength steel (for the rolling-motion surface) coupled with heat treatment applied by a state-of-art cooling process enables machine usage for longer periods even under harsh conditions. In addition to this, a high-performance floating seal, capable of maintaining air tightness even under extreme temperatures is used, resulting in excellent durability and smooth operation. 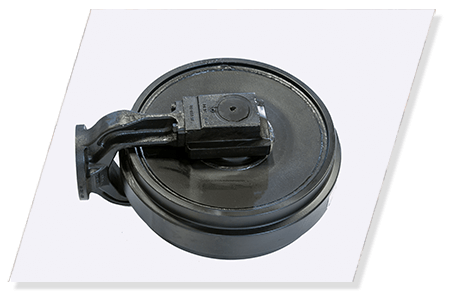 The hollow structure of the idler is uniquely designed to protect the machine from damages due to shocks, securing durability under severe work environments. 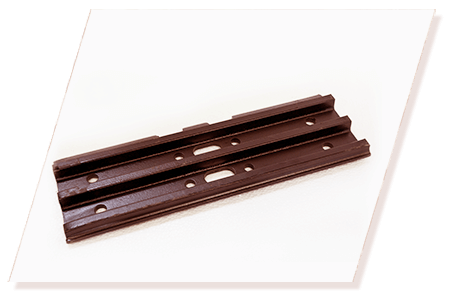 In addition, an optimized heat treatment to yield high water resistance has been applied to the rolling-motion surface. The durability of the shaft part has been significantly increased by adopting large -diameter shafts. 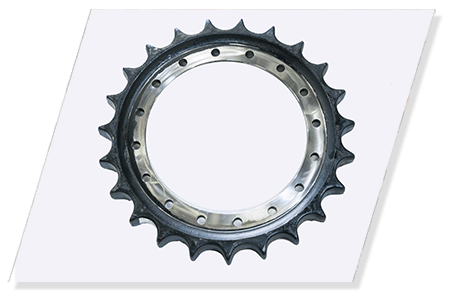 High toughness in sprockets is ensured via special high-strength steel and an optimized heat treatment process. High wear resistance ensures accurate transmission of power to the crawler even after long hours of work. 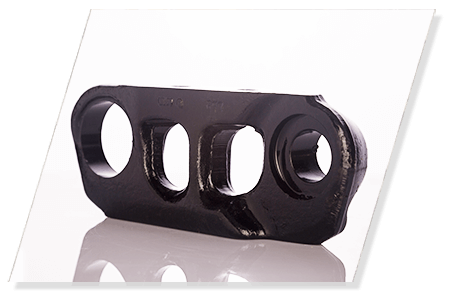 These are designed to withstand machine load coupled with severe shocks during operations. In order to achieve the desired toughness, an optimized heat treatment is applied down to the core and results in high-durability even after long hours of demanding operations. In the pins and bushings, high durability grease is charged and tightly sealed by a high-performance seal, realizing a long machine life. An optimized heat treatment is applied to the specially selected high toughness steel, resulting in extremely high durability.